We are about two weeks away from the first day of spring and already it is beginning to feel like summer out there. The short time we had with "winter", a few nights that dipped in the 30s and days where you had to bring a hoodie just in case, is pretty much all but gone. And I like the cold. I'm from northern California where temps huddle around the 50 degree mark for most of the seasons. In fact, summer has always been the foggiest due to the inland getting so toasty and bringing the dense moisture towards it. I wont quote Mark/Sam Twain/Clemens right now but I'm sure you are familiar with his saying of the coldest winter he ever spent. It was one of those unseasonably warm days that we lit out in search of some entertainment and shade (aka, the movies, we saw "Logan" and, wow, yeah...wow) but beforehand we needed some vittles and refreshment. Being in the area of Grant and Craycroft we were lucky to find a hidden away food hut nestled between a convenience store and a crappy cell phone retailer just off that busy corner. It may have been a bit rough getting there and the parking wasn't great but once we stepped foot inside we knew that things were about to get a whole lot better. 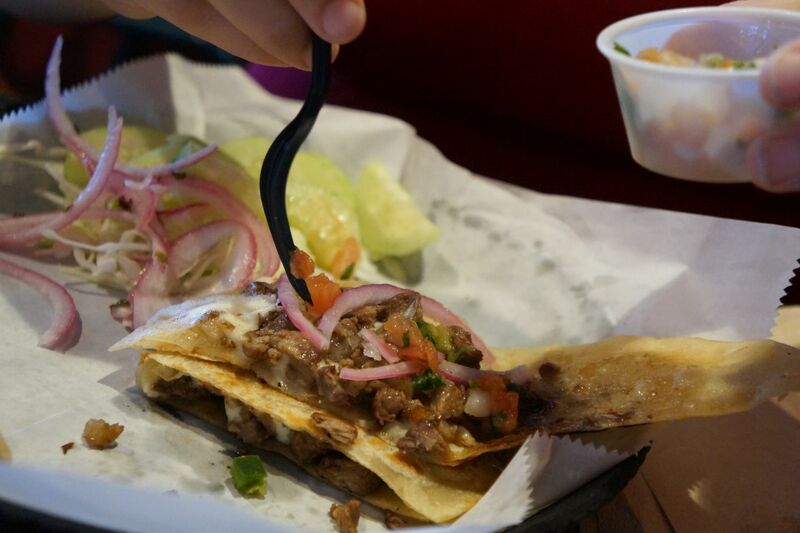 The Quesadillas is not that new by any standard. 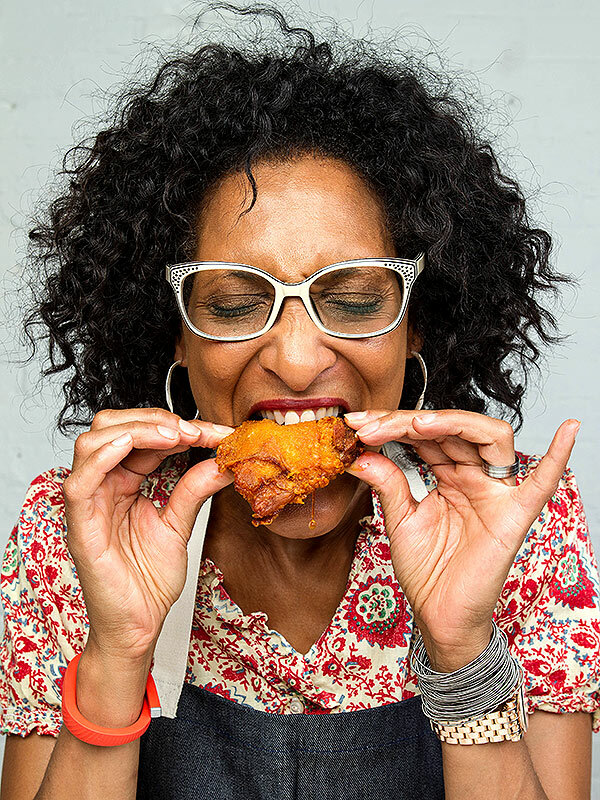 Opening up with little to no fanfare in late December of 2015, it has been the online reviewers and social media sharers over the past year that has gotten this cozy grub shed some respect and notoriety, and rightfully so. Having only been there once before it was time to check back in and see if the food was still as good as the first time. The place was packed this day. The other time we were here we were the only ones in the place. But a late lunch crowd had crammed into the tight space, a line almost out the door, but luckily we found a table under the TV that was happily showing an episode of "The Chew". We love that show. Hi Carla! If the name of your place is The Quesadillas then, well, we better order up some quesadillas. 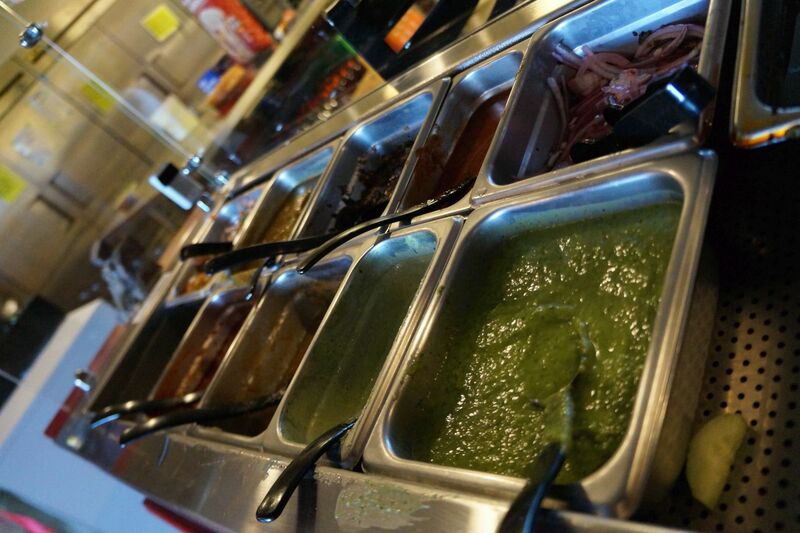 So we got a selection: the carne asada, pollo asado, the championes (mushrooms) and a plain bean and cheese variety. The smiling girl at the counter rung us up and the two guys manning the kitchen were a fury of haste and preparation. Even with a full house our food came out quite expeditiously so we wasted no time and dove in. 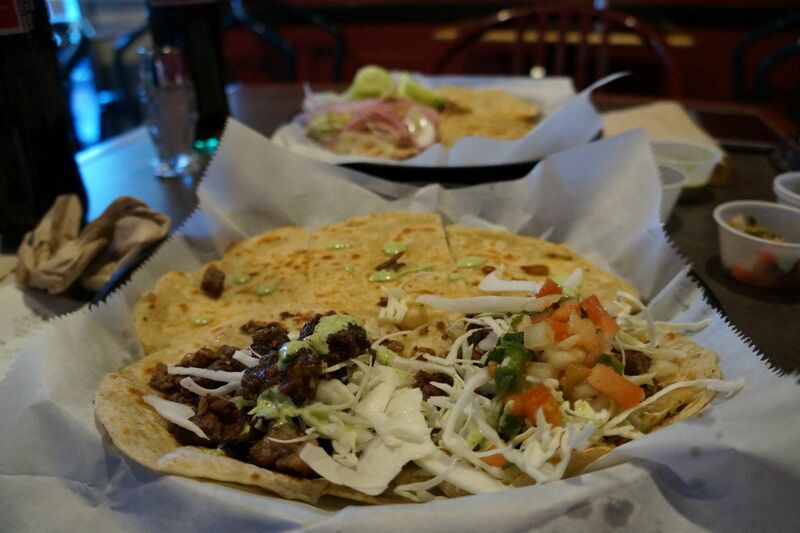 A place such as The Quesadillas isn't going to change the world (well, it might...) but quality food made with quality ingredients by qualified folk could change your outlook on things. It was stuffy in the place but we didn't mind. The meat was mesquite grilled and seasoned with care, the cheese had a really good pull and smoothness to it and above all the salsas were tangy, tart and well crafted. 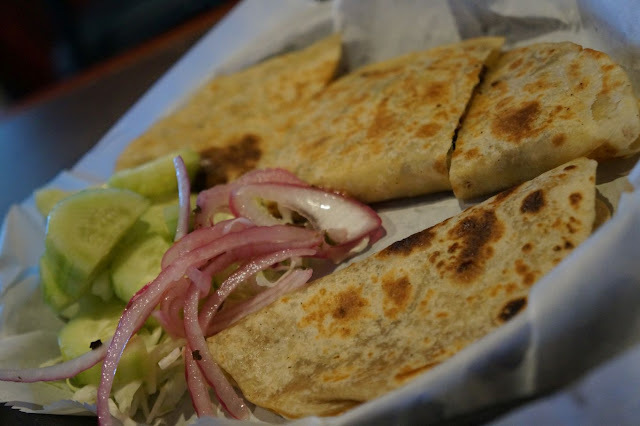 Every bite was a treat and every variation of a quesadilla was a simple masterpiece. The last time we were here we tried their ribeye tacos and, man, those lil' cajolery folded bits of madness enticed and delighted. All of it, so most awesome. You don't need much more than this. Plus with prices barely breaking the $5 mark, you can see why they were jammed on a rather hot day an hour or so past the prime lunch rush. No wonder we had such a rough time finding parking, everyone in the immediate area had the same idea as us. Huh. It may not look like much from the outside and, sure, it can be a bit of a hassle to find it, get there and then if you're lucky nab a table, but if you can muster up the courage to brave a slight hindrance you will be well rewarded by delicious food cooked and served by talented and kind people. 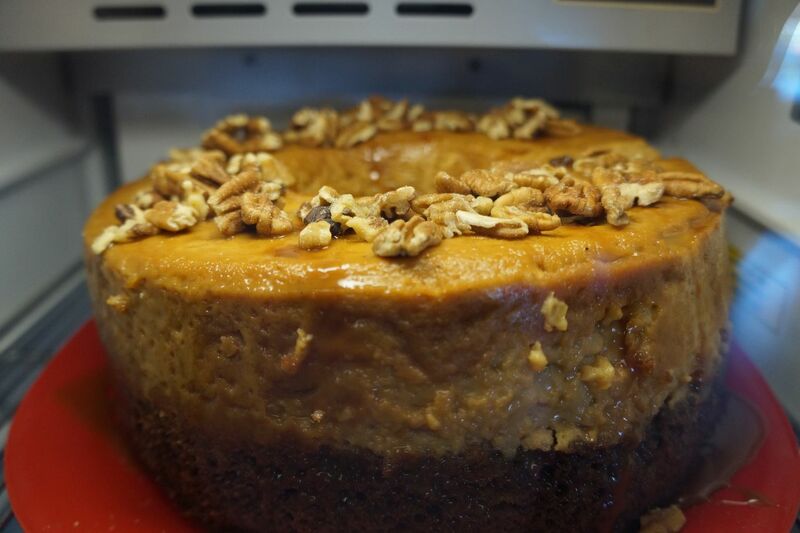 Oh, and be sure to try their flan, some of the best we have ever had...and we're not big on desserts. It looks more like a cake but tastes more like a spongy sweet custard loaf, one that was mixed and baked in some angelic blessed gilded kiln. Although Anita does a pretty good job as it is. We think that was her name. 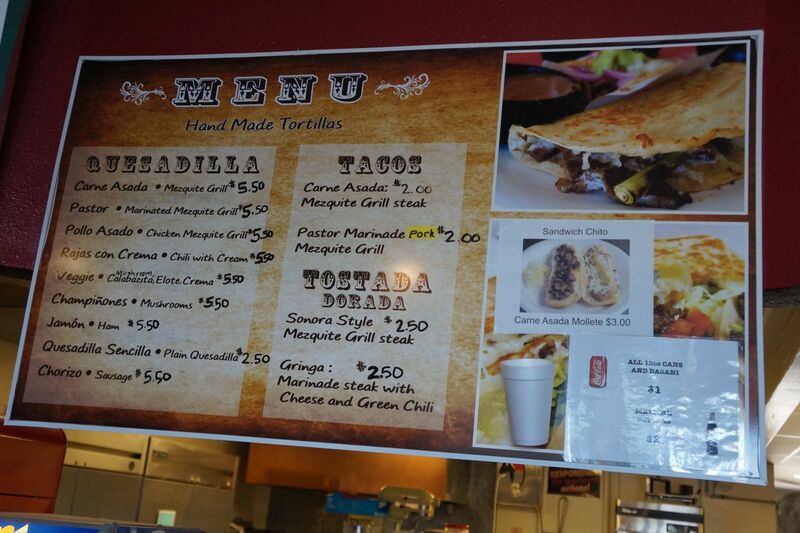 Owning and operating a Mexican restaurant here in Tucson is a risky endeavor; so so much competition. 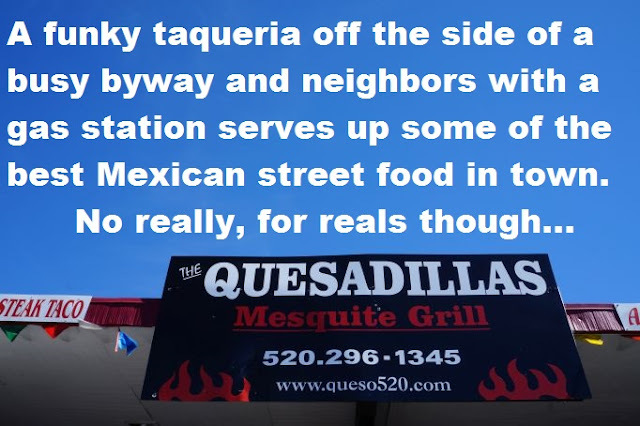 But a place like The Quesadillas will do fine because they only have a few things on the menu and the few things they do have on the menu are uncomplicated yet so complex. You need to get there and try at least one of each. That's what we plan on doing. Good review! Again --- I want some!